How much can typical Americans actually afford for the U.S. federal government to spend? And how does that compare with the amount of money that President Obama would really like to spend? In the chart above, in addition to tracking the historical amount of U.S. government spending per U.S. household and U.S. median household income since 1967, we’ve also indicated the amount of federal expenditures per household that President Obama has indicated he wants to spend in future. President Obama has described that future spending in the Mid-Session Review of the Budget of the U.S. Government for Fiscal Year 2012, which runs from 1 October 2011 through 30 September 2012. 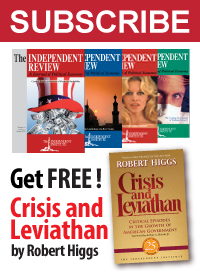 We’ve also indicated the additional amount of federal government spending per U.S. household that the President is currently demanding that the U.S. Congress act to support his jobs bill (aka “The American Jobs Act”), which he hopes will duplicate the “success” of his 2009 economic stimulus package. For that measure, the President would like to spend an additional $447 billion in 2010, which works out to be about an additional $3,800 per U.S. household. 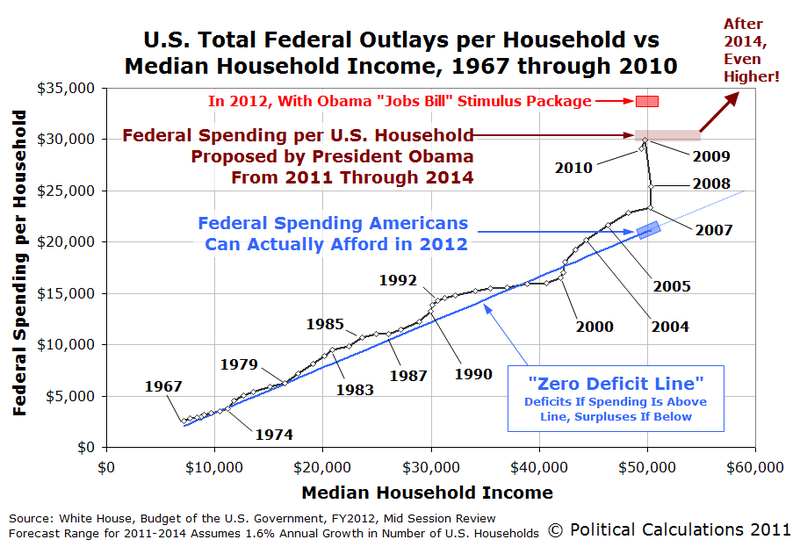 Finally, we’ve also shown just how much money that typical Americans can afford for the U.S. government to spend per household through the Zero Deficit Line (ZDL). The ZDL represents the amount of money that the government can collect through taxes for a given level of median household income for the nation. U.S. Census. Income, Poverty, and Health Insurance in the United States: 2010 – Historical Income Tables. Table H-5. Race and Hispanic Origin of Householder — Households by Median and Mean Income [Excel Spreadsheet]. 13 September 2011. Accessed 18 September 2011. White House. American Jobs Act. 12 September 2011. Accessed 18 September 2011. White House Office of Management and Budget. Budget of the U.S. Government, Fiscal Year 2012, Historical Tables. 14 February 2011. Accessed 18 September 2011. White House Office of Management and Budget. Budget of the U.S. Government, Fiscal Year 2012, Mid-Session Review. 1 September 2011. Accessed 18 September 2011.